We have our summer drinks — daiquiris and, of course, the gin and tonic. Irish coffee and hot buttered rum serve well as winter drinks. When it comes to fall, though, daydreams of pumpkin lattes have seemed to fog our creativity in terms of cocktails. Fortunately, the bartenders at the Volstead Act have us covered. As of the beginning of this month, customers can get a taste of the Volstead Act experience, autumn style. Each season, the bartenders create a number of drinks, then come together to taste-test and tweak them before voting on which ones to feature on the seasonal menu. For Ariel St. Clair, fall brings to mind darker, more robust drinks, which is where she drew her inspiration for Dark Maple. Before building the bourbon drink, St. Clair whips together the brown sugar and maple, disintegrating the brown sugar and giving the syrup a good consistency. The drink also features notes of chocolate and orange. The addition of Ramazzotti, an Italian Amaro, gives the drink an herbal and earthy element. Overall, it's a really well-balanced cocktail, with just a couple of drops of flavor to accentuate the taste of the spirit. That's what they strive for: balance, not only in their cocktails but also on their menus. "We like our whiskey-forward cocktails, but we try to do something for everybody on our menus. Anybody can make up 10 drinks, but whittling it down to having every spirit represented, every style of drink represented. We don't want anybody to come in here and look at our menu of drinks and say, 'There's nothing for me,'" says Chris Ekas, a fellow bartender who helped fine-tune Dark Maple. According to Ekas, cocktails were originally designed to draw out the flavor of the spirit. Prohibition killed those good cocktails. For Ekas, craft bartending has become a passion, and you can find him digging through pre-Prohibition era cocktail books in his spare time. Prior to starting at Volstead Act, St. Clair served drinks on the rooftops of Beverly Hills. 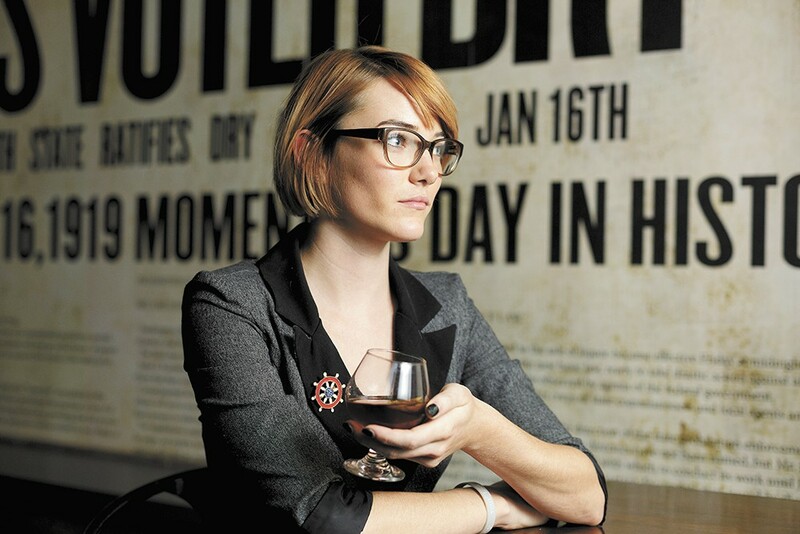 Inspired by her fellow bartenders who were intent on reviving cocktails as an art form, St. Clair put herself through BarSmarts, a bartending education program taught by the nation's leading bartenders. Though she says that mainstream bartending has its merits, St. Clair enjoys working at Volstead Act because she gets to introduce people to craft cocktails, which they may not have otherwise tried.